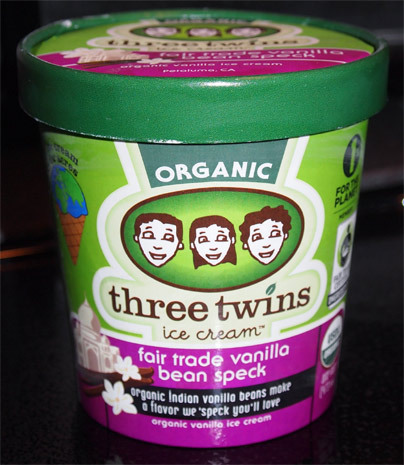 This is Three Twins Organic Fair Trade Vanilla Bean Speck Ice Cream made with organic Indian vanilla beans. I would love to say I'm eating a bowl right now, but unfortunately I've already ate all of it about a week ago. It was good and I made short work of it. Sorry about the shadow, but you get the idea. 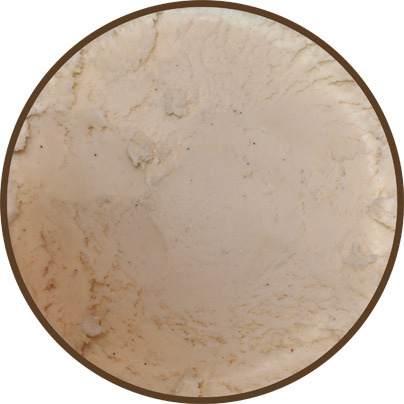 A nice looking ice cream with lots of vanilla bean specks. Oh, I love the specks. When you see the specks, you can relax. Good stuff lies ahead. Now, is this as good as Graeters Vanilla? To me, no.... but it's really close actually. If you think Graeters is a smidge too sweet, then this one is probably for you. They are both a good, clean, rich vanilla flavor and I have no problem recommending either one. This pint continues my new found appreciation for vanilla. Before I go, I will admit that this pint was not without incident. Notice there is no seal in the picture above. Now I don't know if it was the trip across the country, the wait to get put in the freezer, or (most likely) the long ride home, but at some point the consistency of the ice cream was damaged. I liked the flavor off the bat, but the texture was by no means perfect at first. 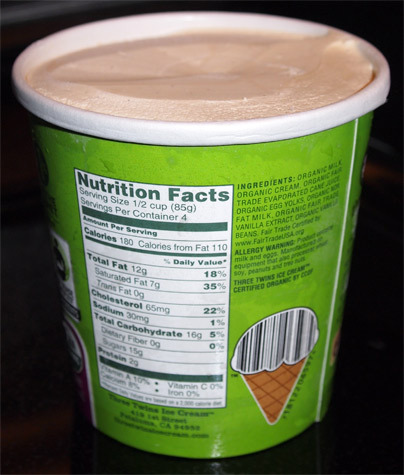 It was solid and almost crunchy at the very top, but as we worked our way down the pint, it just got better and better. By the end, it was what you would expect from a top notch ice cream. Not super creamy, but not super dense either. Just a nice clean texture. One more note: Since this product is organic, and compensating for the fact it has to come all the way from California, it's usually $4.99 at Whole Foods in my area, but the founder of three twins was nice enough to send over a few coupons for me to try it, so big thanks to him. --- HAHAHAHA Apparently the three twins scoop shop will serve you "the world's most expensive ice cream sundae" clocking in at a whopping $3333.33. The price is based on 3 very expensive adult beverages used to top the sundae (read here).